Trusted LASIK Surgeons™ strives to be a useful resource to help you with all of your vision correction needs. Beyond laser vision correction surgery and LASIK, we also provide information about cataract surgery. We also feature a directory of expert cataract surgeons. Many, if not most of the vision correction surgeons featured in our Trusted Cataract Surgeons™ Directory offer laser-assisted cataract surgery. What is Femtosecond Laser-Assisted Cataract Surgery? 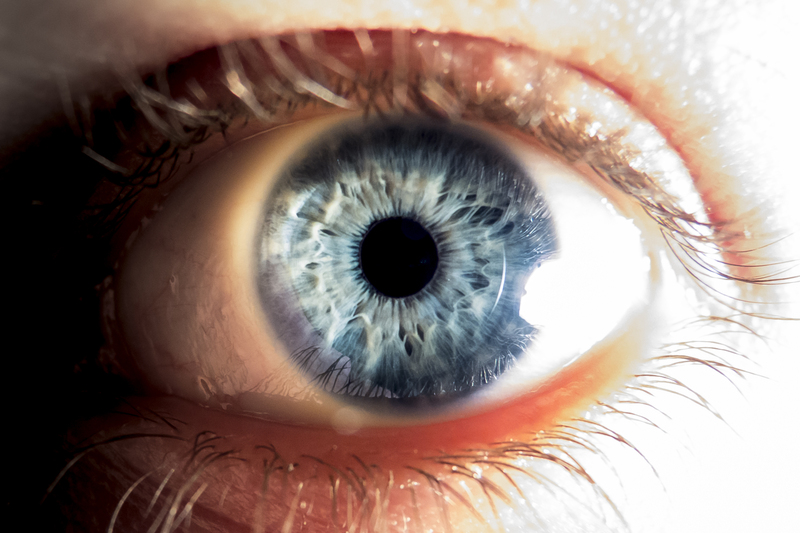 For laser-assisted cataract surgery, the same type of femtosecond laser used to create LASIK flaps is now being used for portions of the cataract operation. While standard cataract surgery is typically covered, laser-assisted cataract surgery is an elective option that is not typically covered by Medicare or other health insurance plans. With laser-assisted cataract surgery, an imaging device will be used to map the surface of your eye and gather information about your cataract lens. The detailed information from the camera/ultrasound device is sent to a computer that programs the femtosecond laser with the exact location, size and depth of the incisions. Your cataract surgeon will use the laser to make the corneal incision and the opening in the lens capsule. The laser may also be used to soften the cataract lends. Next, the same ultrasound probe used in traditional cataract surgery will be used to break up your lens into pieces after which they are suctioned out of your eye. Once your cataract lends is removed, a new inter-ocular lens implant will be placed in your eye. Just like traditional cataract surgery, the corneal incision will not typically require stitches. What are the Benefits and Reasons to Get Laser-Assisted Cataract Surgery Over the Traditional Cataract Surgery Procedure? The most common indication for the femto-assisted laser assisted cataract surgery procedure is to create more accurate incisions in the cornea to reduce astigmatism. The laser can place these incisions at the proper depth because the imaging technique measures the exact thickness of the cornea so the depth of the incision is accurately placed. The laser is also more accurate at controlling the exact arc length of the incision, e. g. 15 degrees, 20 degrees, 45 degrees for example. The placement of the incisions is also more precise (for example with an optical zone of 7.0, 7.5 or 8.0 mm). A second major advantage laser-assisted cataract surgery procedure is the creation of the round tear in the anterior lens capsule (capsulorexhis). The laser creates a more perfect, round tear in the capsule of the desired diameter more accurately than can be accomplished in the manual method using forceps controlled by the surgeons hand movements. The final advantage is the pre-chopping of the hard central nucleus into multiple segments or cubes allowing for simpler removal of these nuclear pieces with the ultrasonic phacoemulsification handpiece. It is important for you to understand that the actual removal of the cataract is accomplished using the ultrasonic vibrations of the tip of the phacoemulsification handpiece controlled by the surgeon. Consequently, the cataract is not magically “vaporized” by the laser without actual surgery. How Does This Form of Femto-Assisted Laser Cataract Surgery Help? The femto-laser can accomplish the steps listed above more precisely than the manual methods so the your cataract surgery is simplified in most cases. Is Laser Assisted Cataract Surgery For Me? Patients who elect this option must be willing to pay an additionsal fee since it is not covered by health insurance. This option is not offered to all patients nor is it absolutely necessary as standard phacoemulsification in the hands of a skilled cataract surgeon produces equivalent outcomes. Cataract surgeons will typically offer this option in common case where laser assisted cataract surgery can help reduce low to moderate amounts of astigmatism as an alternative to a toric lens implant (which can also reduce astigmatism for both low and large amounts of astigmatism). Patients will have to decide whether they elect to choose and pay for the femto-laser assisted option for their cataract surgery. What Happens After the Laser Assisted Cataract Surgery Procedure? Your cataract surgeon will provide you with prescription eye drops to prevent infection and inflammation. You may feel a slight burning or blurring, but that usually is only for a moment or two after you apply the drops. Your vision might seem hazy for about 24 hours, but you probably will see improvement within two to three days. You will revisit us within the first two days for an evaluation, and you also will receive regular monitoring within the first six months. No matter whether you choose standard or femtoassisted cataract surgey ther is always a small risk of complications such as infection. Swelling of the retina or cornea and many patient will still require glasses for best vision for reading, distance or both. Find and contact a cataract surgeon you can trust with confidence at our Trusted Cataract Surgeons™ and make an appointment today! If you are having a cataract that is giving your serious vision problems, now may be the time for cataract surgery. Trusted Lasik Surgeons™ is here to provide you with access to some of the finest cataract surgery experts in the United States through our Trusted Cataract Surgeons™ Directory. The cataract surgeons profiled in our directory haven proven expertise and have demonstrated a commitment to improving vision for their patients and providing you with an optimal experience and a successful outcome. If you are interested in finding a quality cataract surgeon to perform extracapsular cataract surgery, please visit our Trusted Cataract Surgeons™ Directory Trusted Cataract Surgeons™ Directory to find a surgeon nearest to you. Even if we don’t list a surgeon in your local area, please contact us and we will do our best to put you in touch with a true expert cataract surgeon closer to you. Also, please let us know if we can be of any further service in helping you find a qualified refractive surgeon that can best treat your vision needs. We’re here to help!